Cambridge University’s Centre for Business Research has condemned the ‘Project Fear’ predictions which the government produced during Britain’s referendum on the European Union (EU) as “very flawed and very partisan”. Former Chancellor of the Exchequer George Osborne had Treasury civil servants produce reports claiming that a vote to leave the European Union would tip the economy into recession, throw half a million people out of work, and usher in an emergency “punishment budget” replete with budget cuts and tax rises. These predictions did not come to pass, with gloomy forecasts being torn up across the board shortly after June 23rd. 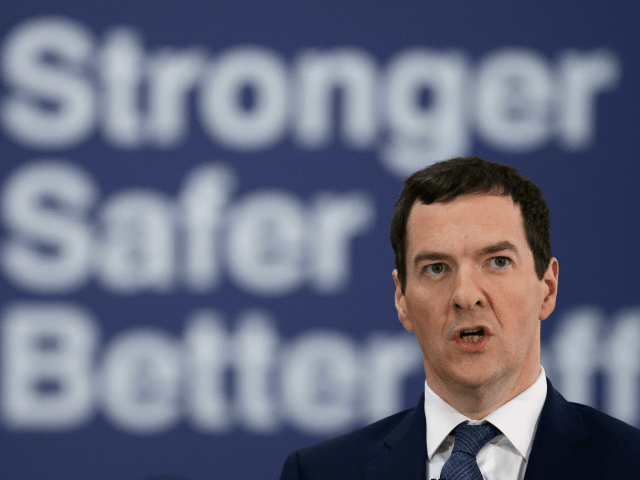 The Osborne Treasury’s doom-laden reports were controversial even during the referendum. Professor David Blake of the Cass Business School, City University London, blasted the civil servants responsible for “extraordinary abuse” of economic modelling, dismissing the documents themselves as “dodgy dossiers” worthy of Tony Blair. The so-called “punishment budget”, announced by Osborne alongside Labour grandee Alistair Darling, who led the UK into the financial crash during his own tenure as Chancellor, was similarly panned. BBC interrogator-in-chief Andrew Neil described it as having “crashed and burned on takeoff” when MPs from all parties refused to back it, predicting accurately that Osborne would not survive to implement such a budget in the event of a Brexit vote in any case. Even Nicola Sturgeon, the arch-Europhile leader of the Scottish National Party, felt prompted to warn her then-allies against a “miserable, scaremongering, fear-based campaign” which could “start to insult people’s intelligence and have a negative effect”. The Cambridge analysts believe that Brexit could, in fact, halve net migration to 165,000 – well short of the Government’s pledge to bring it below 100,000, but still a substantial reduction – boosting average earnings by more than 2 per cent per year from 2019. They did note that inflation would likely “be higher than it has been for some years”, but did not appear to treat this as cause for any undue concern.